We handle emergencies and repair projects. You can count on Incredible Restorations 24 hours a day, 365 days a year to professionally clean up water in your property due to sewer line and toilet backups, sump pump and water heater failures, broken pipes, washing machine and dishwasher leaks, ice maker line leaks, heavy rain roof leaks, ground water seeping into the basement and natural disasters. Drying behind cabinets, tile splashes/surrounds, insulated walls and beyond used to be near impossible. 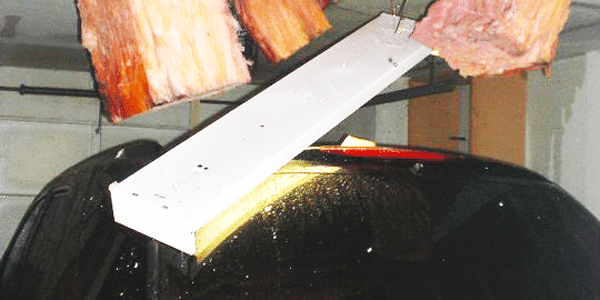 In most cases, there was no choice but to remove and dispose of the water damaged materials - at great expense to the customer and the insurance company. However, advancements in restoration technology allow us to direct high-pressure air into hard-to-reach areas and dry them quickly with minimal disruption. Water leaks resulting from washing machine malfunctioning, old dishwasher machine lines breaking, or old fridge water and ice maker copper lines leaking are common causes for water damage in homes across Canada. 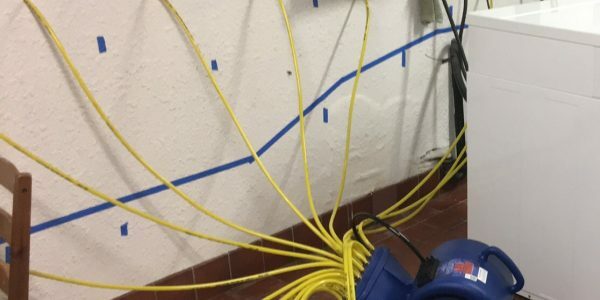 Call Incredible Restorations immediately, we are available 24/7 to assist you with emergency water floods caused by appliance leaks, prepared with the knowledge and state-of-the-art infrared detection tools to rapidly mitigate the issue. 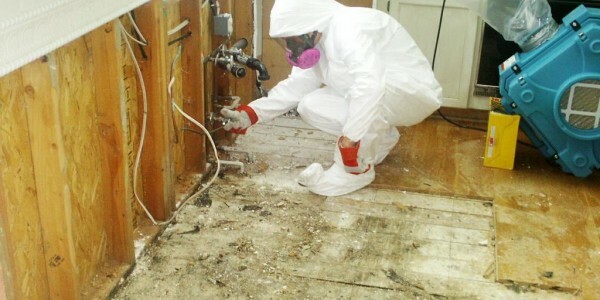 Incredible Restorations provides full- service mold and indoor air quality services. 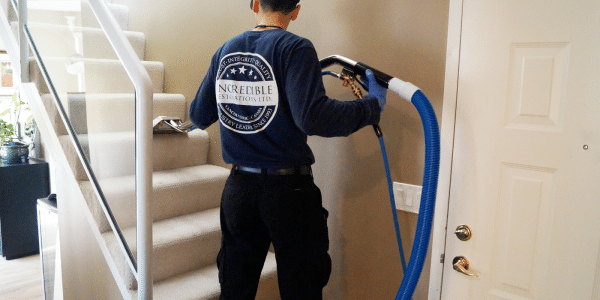 Our mold technicians are certified through the Institute of Inspection Cleaning and Restoration Certification (IICRC), we pride ourselves on the ability to solve your mold and indoor air quality problems quickly and efficiently. 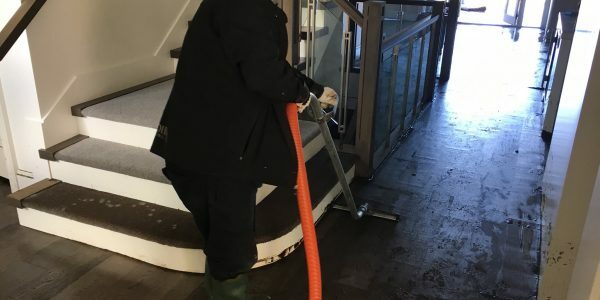 Over the years we have perfected the water damage emergency and reconstruction process, streamlining smooth communication with our team, and all parties involved in successfully completing of the project. We guarantee you to be part of a seamless process on your end, insuring your property is restored back to pre-loss condition on time, on budget, with a smile on your face. We can save your hardwood floor! When your home suffers a water loss, and your hardwood floor is totally soaked, it can still be saved! 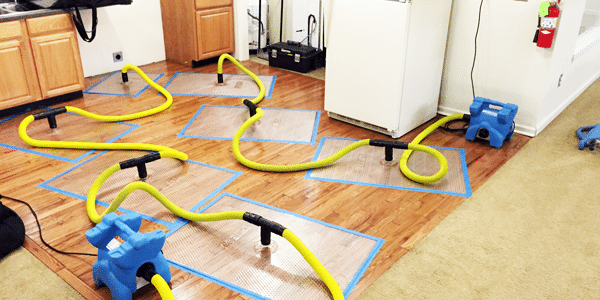 This in-place floor drying system allows us to save home owners, insurance companies, and property managers thousands of dollars in repair costs. Pipe Leaks Happen Every Day. Water damage can come from a variety of sources, and leaky pipes is one of them. Your property may suffer flood from a pipe leak because it bursted, it froze, or got backed up. 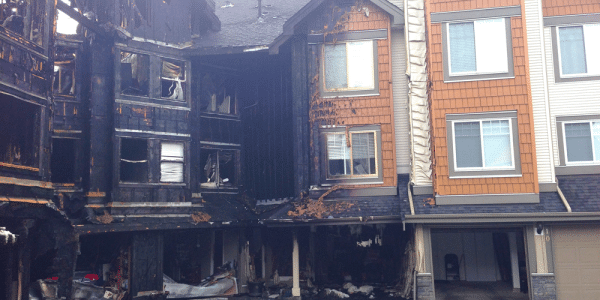 When your Vancouver home or business suffers fire damage, it’s absolutely devastating. 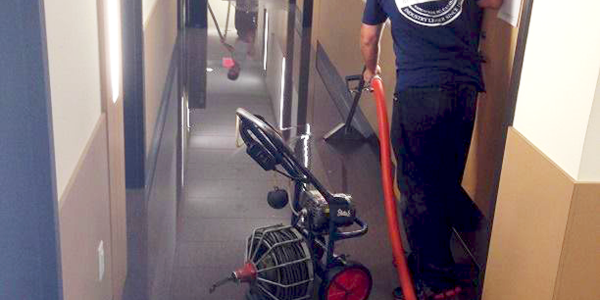 If a team of firefighters was involved, your property will also have water damage from the fire team efforts.. This is certainly a highly stressful and confusing situation, where you will need a caring fire restoration company to guide you through this crisis and it’s rebuilding process. When your Vancouver home or business suffers a break in or a vehicle impact you need to act quickly to prevent further damage. 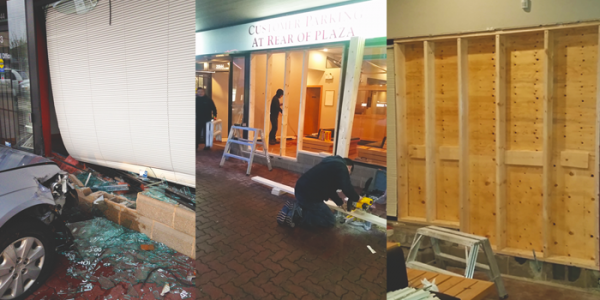 Call Incredible Immediately to get your window, door, or siding boarded up! 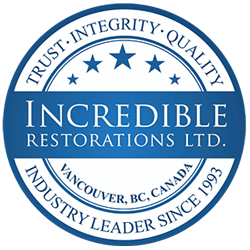 After completely drying down your property, Incredible Restorations brings your property back to its pre-water-loss condition. 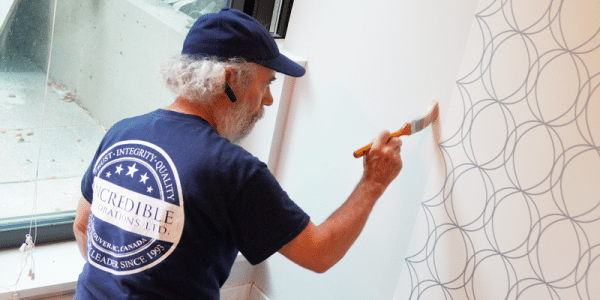 We provide the services you need to restore the building, including all aspects of reconstruction such as: insulation, drywall, carpentry, painting and decoration. 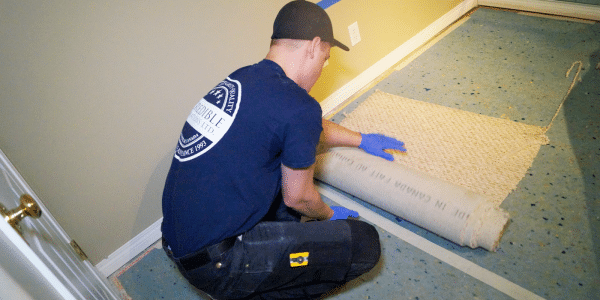 We provide the services you need to restore any commercial or residential property, including all your flooring needs, including: Carpet, Hardwood, Laminate, & Tile. Carpet cleaning is a very important step in the restoration process. We use state-of-the art equipment and are up to date in the latest technologies in cleaning and removing carpet stains. 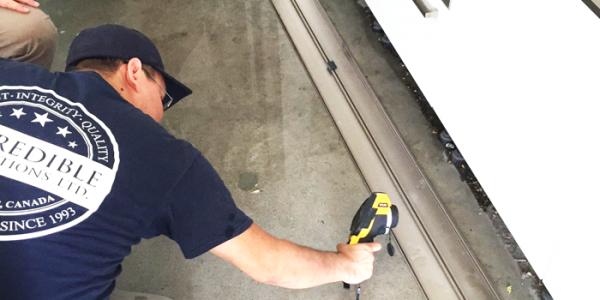 We offer free estimations on water and fire damage building repairs. Our staff are certified industry professionals with extensive experience in writing competitive water damage, mold, and reconstruction bids. It's our duty, obligation and responsibility to successfully bring your property to pre-loss condition, with a smile on your face. 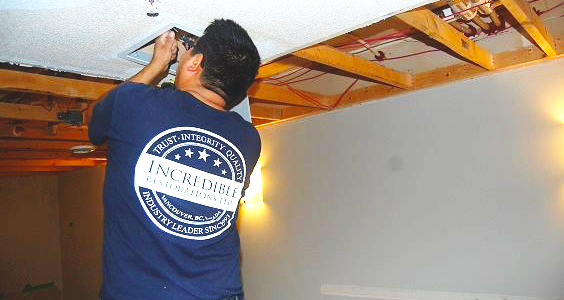 Our team has embodied the brand and live by the name "Incredible" -- our culture is built on trust, high energy, and customer care.